This build focuses on dealing damage no matter what sort of situation you might find yourself in. It’ll be versatile enough to take on enemies at all ranges, but it’ll be most potent in mid range fights. Attachments: 2x, 4x, Extended Quickdraw, Compensator. Consumables: First Aid Kits, Painkillers, Bandages. A fully kitted out M416 is easily the most reliable weapon in the game, with decent damage at all ranges too. The AKM’s a decent secondary as it does immense damage at short range, making it a strong alternative to an SMG. These weapons will help you keep enemies at bay with suppressing fire or shut down opponents before they have a chance to reach you. The M249’s an obvious pick thanks to its devastating fire rate and power. It’s difficult to get hold of, but you can always swap it out for a regular Assault Rifle like the M416 or SCAR-L which are more than capable of spewing out bullets and chewing through enemies. If the enemy is closing in, the AKM and S12K are perfect choices for blasting them down quickly. Plus, the AKM can always hop into the primary slot if you’re running low on ammo and need a gun that can do a little bit of everything. This loadout’s perfect for taking on enemies in enclosed spaces and shredding their health bars before they can dent yours. Attachments: 2x, 4x, Extended Quickdraw, Compensator, Red Dot, Vertical Foregrip. We’ve slotted in a few options for both your primary and secondary weapons. The UMP-9 and AKM are readily available and incredibly potent at close range, while the Vector has a pretty low spawn rate but it's incredible for deleting enemies health bars in an instant. The Groza is only available through Supply Crates but is arguably the best weapon in this list. Find one? Use it. The S686 or S12K will do you proud if ammo runs low or you’re in need of a weapon switch. Both are capable of dropping enemies quickly if you can land the shots! Pick this loadout and you’ll excel at picking off enemies from afar with pinpoint accuracy. Attachments: 2x, 4x, 8x Extended Quickdraw, Compensator, Silencer, Red Dot, Vertical Foregrip. 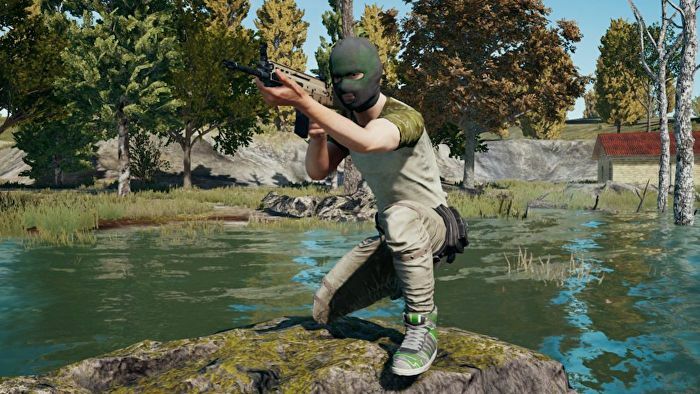 Get hold of either the AWM or the Kar98K and you’re effectively set. These snipers are fantastic for picking off enemies at long range, while the M16A4 and UMP9 make for some suitable backups if things start getting a little too close for comfort.